Panel doors, upvc doors, PVCU doors, double glazed doors… whatever you refer to them as you can get them from The Window Store. Our range of PVCU doors is extensive enabling you to offer a perfectly tailored door. 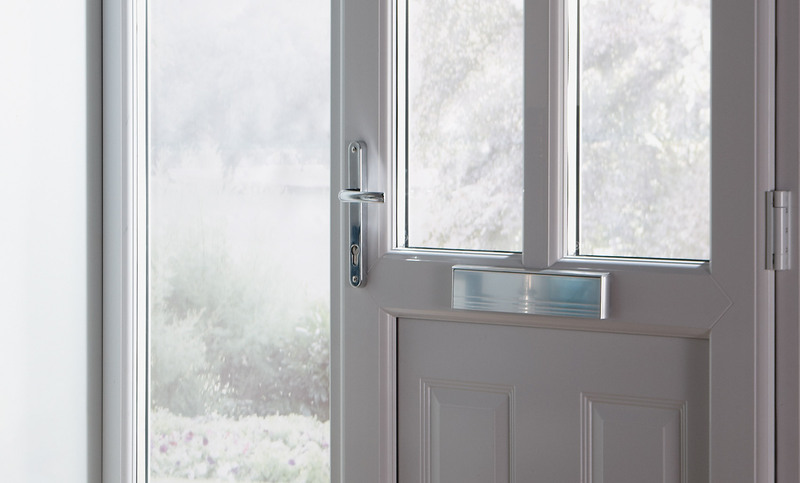 Made from quality PVC-U our doors are built to last and offer top security for any home. A PVCU door offers incredible value and versatility. We offer an extensive selection including a range of stylish inverted mouldings that have proved extremely popular. All styles are available in a choice of white, Mahogany, Rosewood and Oak and the choice of glazing designs really is endless! Every PCVU door is made to measure and available with a choice of hardware. PVCU doors really are a practical option. All the door panels in our range are comprised of two PVCU skins pressure bonded to a core material. The result is a core free from CFCs and a skin that is guaranteed not to crack, peel or warp. Our upvc doors are thermally efficient and can take all the British weather has to throw at them. Every door can be pre hung left or right handed and is tested before it leaves the factory. Our PVCU doors include a fully reinforced 70mm PVC-U outer frame and come with either a standard or low threshold option. To view our brochure visit the Information Centre.